Charles J. Avalli - Gentile, Horoho & Avalli P.C. For the first three years of his practice, Charles J. Avalli worked in the tax department of the Pittsburgh office of Coopers & Lybrand (now PricewaterhouseCoopers). Thereafter, he became an associate and later a shareholder at a medium-sized Pittsburgh law firm where he was a managing shareholder for the last six years of his association with that firm. Also at that time, Mr. Avalli was in charge of all estate planning, administration and litigation matters for the firm. Mr. Avalli has extensive experience in all aspects of estate litigation, estate planning and estate administration. He has represented and sued all the major banks of Pittsburgh in estate litigation matters and has created estate plans for some of the wealthiest families in Western Pennsylvania. He has successfully litigated surcharge actions that recovered as much as 1.4 million dollars for the estate’s beneficiaries. He was counsel in the case of In re McKinney, 2013 PA Super 123, 67 A.3d 824 (2013), which is a landmark case of trustee removal. He regularly lectures on estate and tax planning to civic and professional groups. Mr. Avalli was formerly a Board Director of Auberle and a Disciplinary Board Hearing Officer. He currently serves on the Supreme Court Orphans’ Court Rules Committee. Mr. Avalli’s extensive experience also includes the practice of family law. 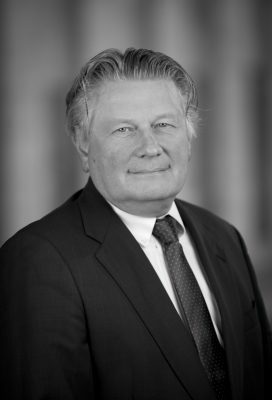 He has worked on and litigated some of the biggest divorce cases in Western Pennsylvania.